Dr. Lisa LaGassa is a lifetime resident of the Metopolitan Detroit area. After graduating from Fraser High School she earned her Bachelor of Visual Science degree from Ferris State University. She then earned her Doctor of Optometry from Michigan College of Optometry at Ferris State University in 1993. Her practice specialties include primary care and contact lenses. Dr. LaGassa is a current member of the American Optometric Association, the Michigan Optometric Association and the Metro Detroit Optometric Society. Dr. Anderson grew up in St. Clair Shores and graduated from Lakeview High School. After attending Michigan State for undergraduate school, she proceeded to the Michigan College of Optometry at Ferris State University, where she graduated with honors with her Doctorate in Optometry in 2000. After working at another practice for over 2 years, she and Dr. LaGassa began Pointe Vision Care in September, 2002. 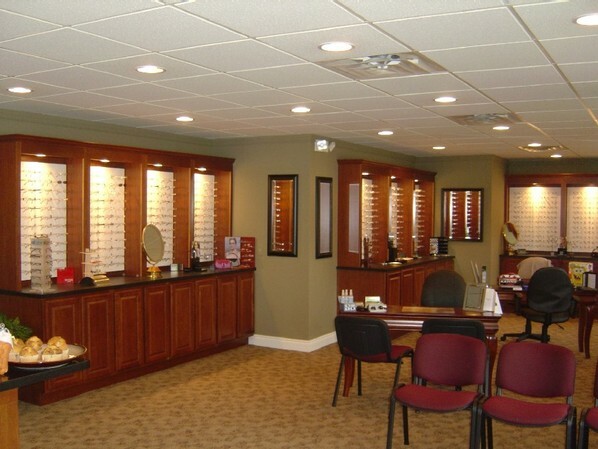 Dr. Anderson prides herself in providing personalized eyecare and specializes in ocular disease and contact lenses. She is a proud member of the American Optometric Association, the Michigan Optometric Association, and the Metro Detroit Optometric Society.